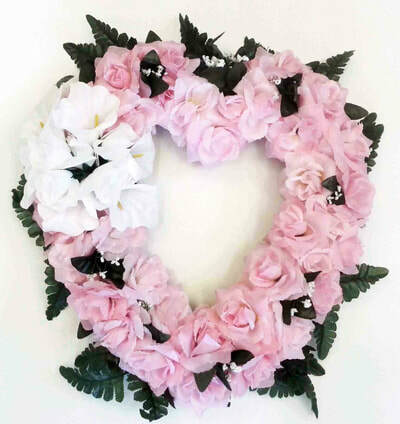 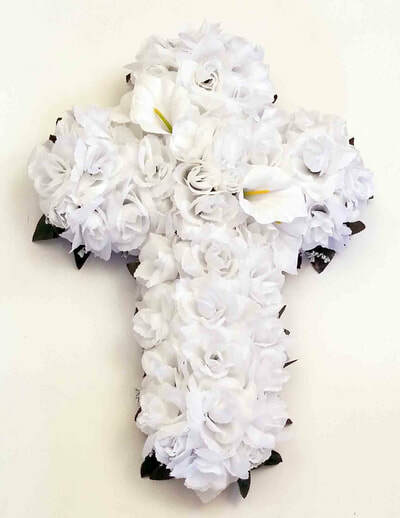 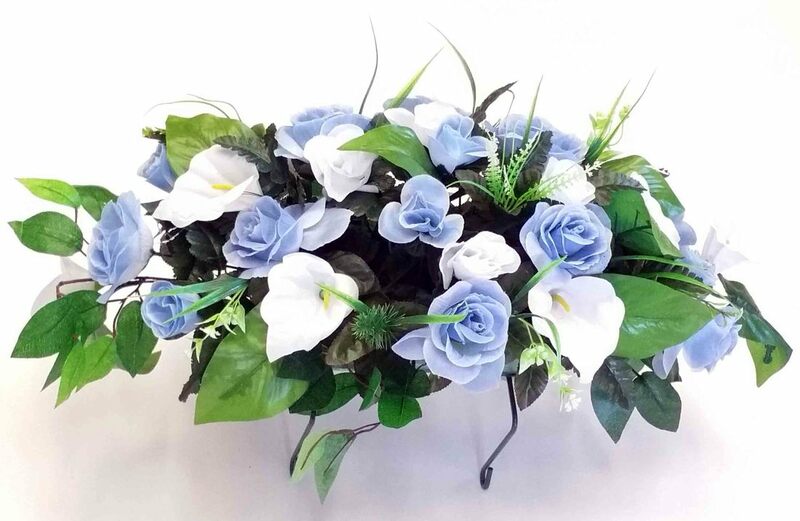 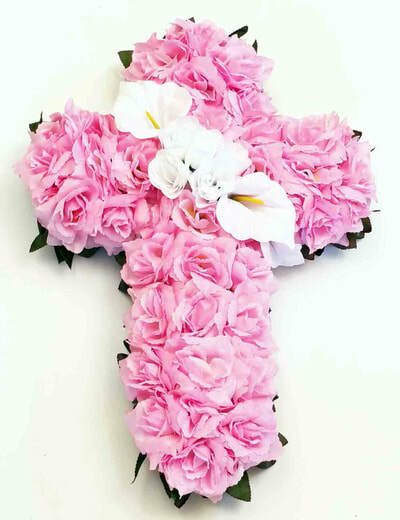 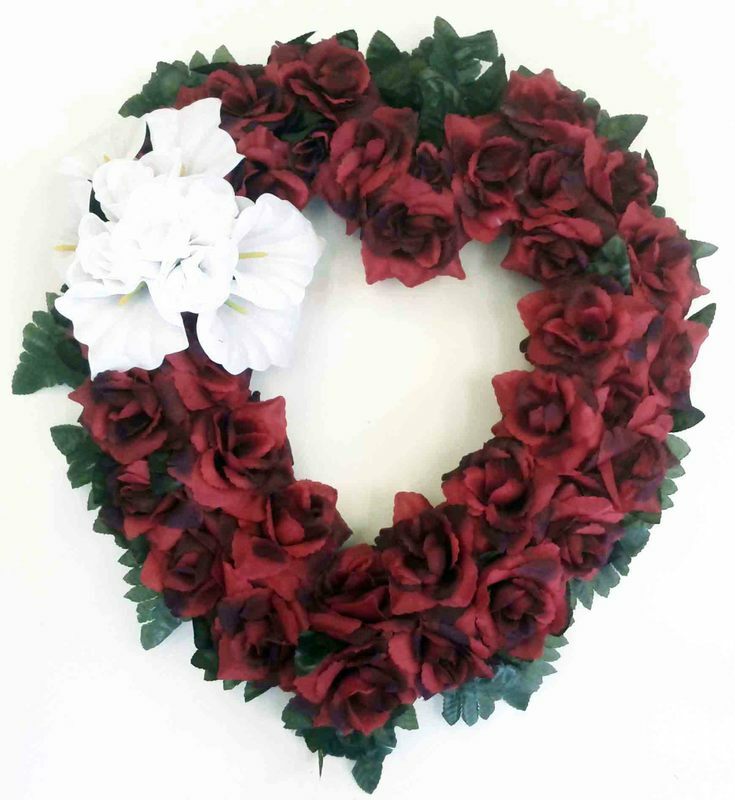 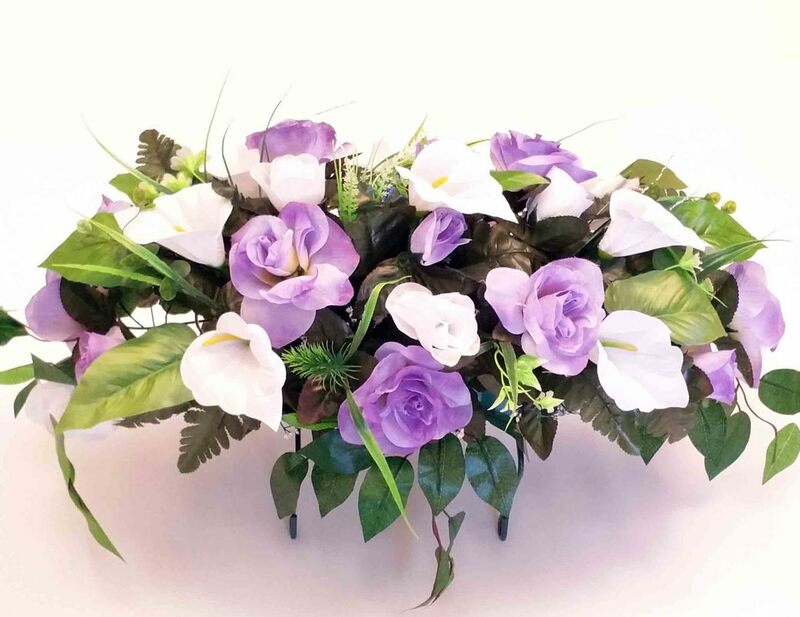 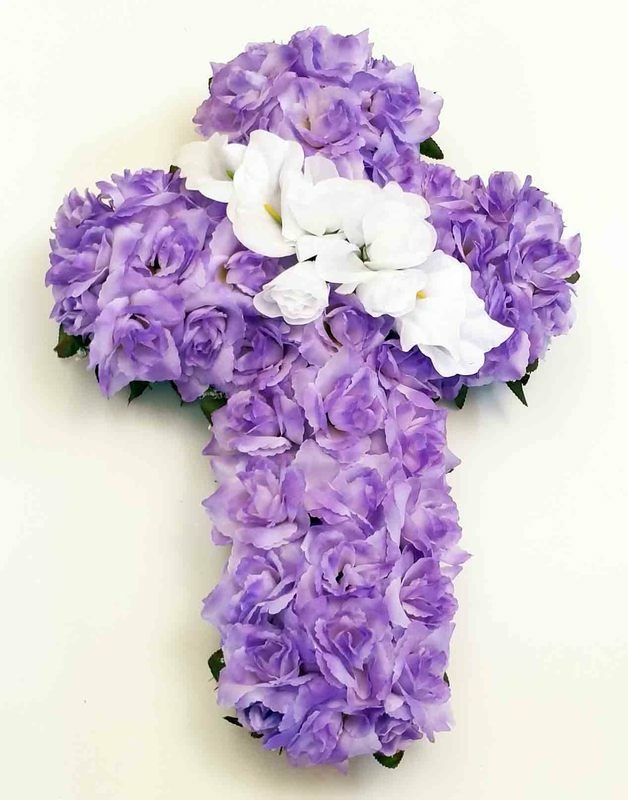 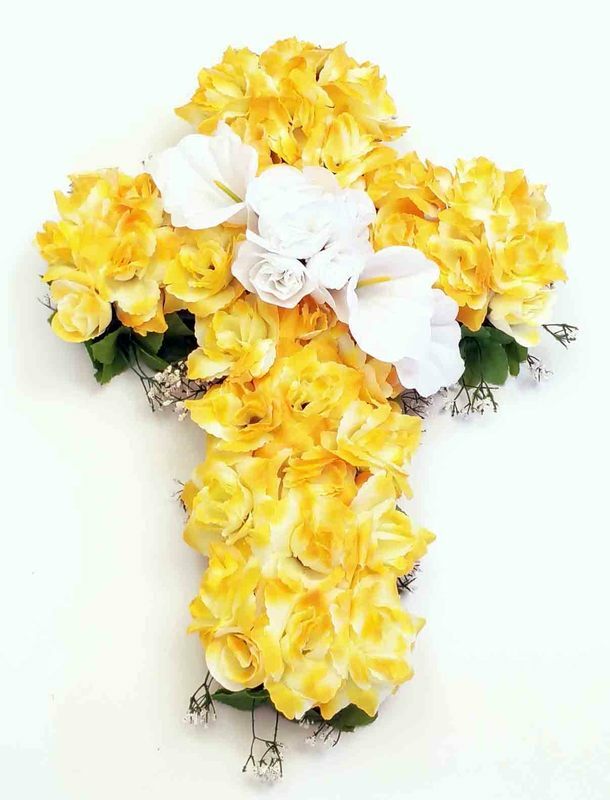 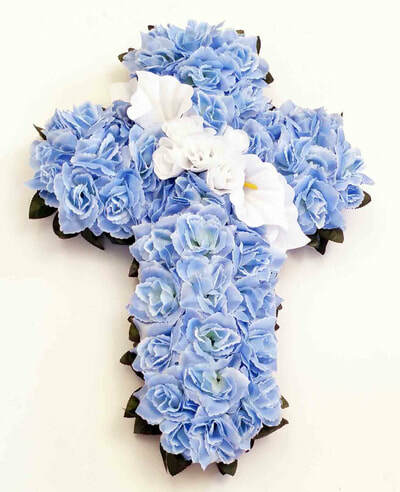 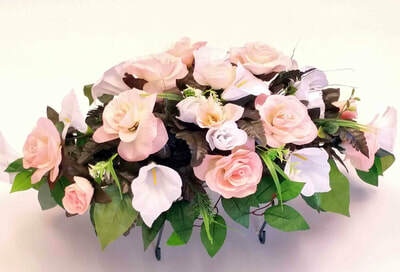 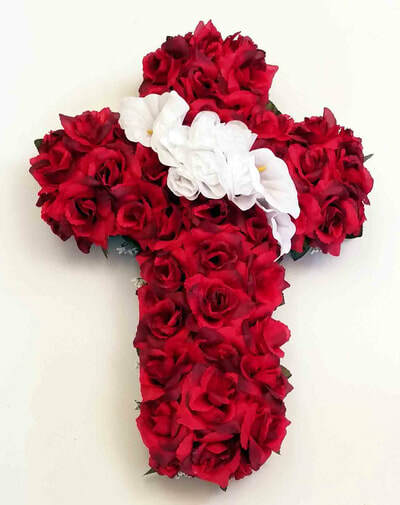 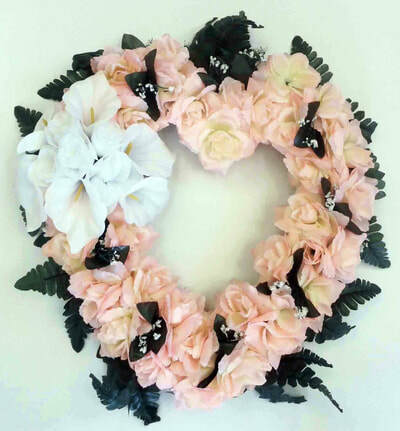 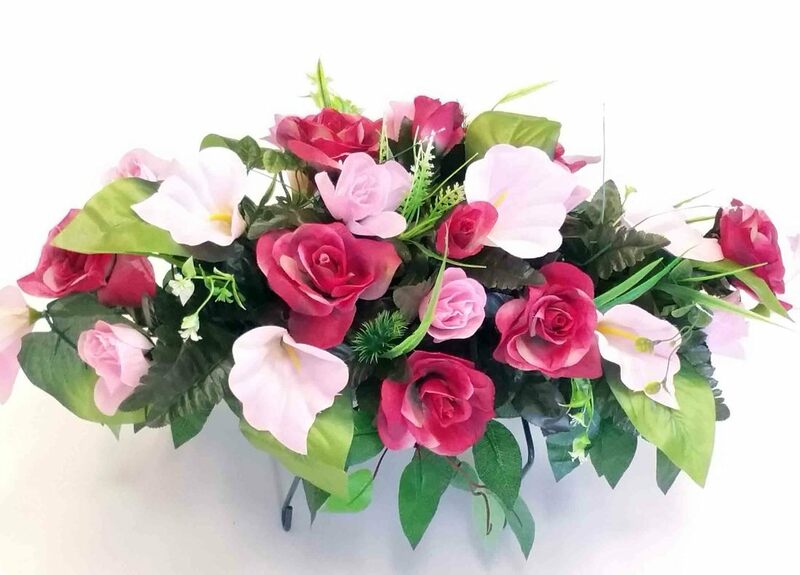 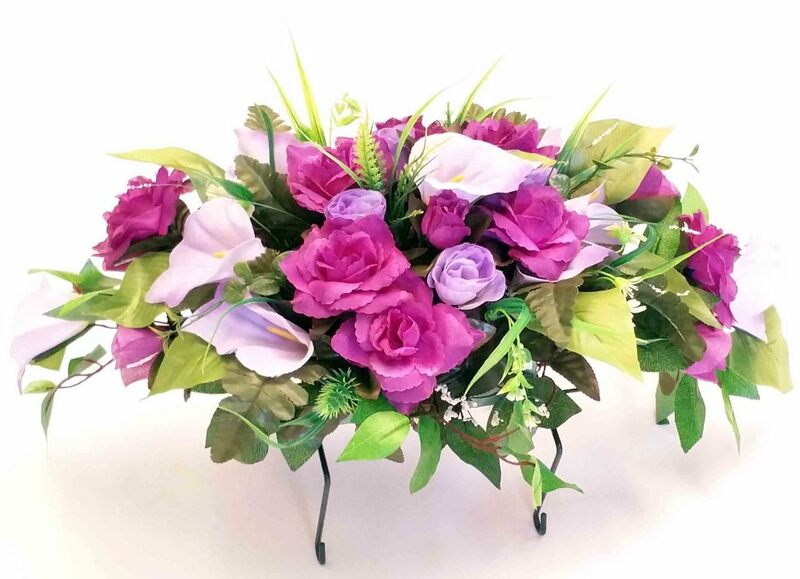 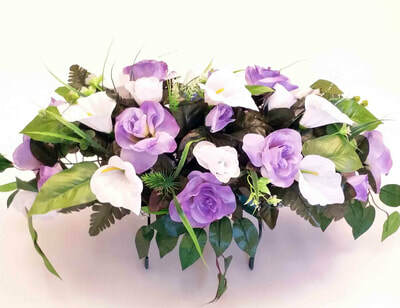 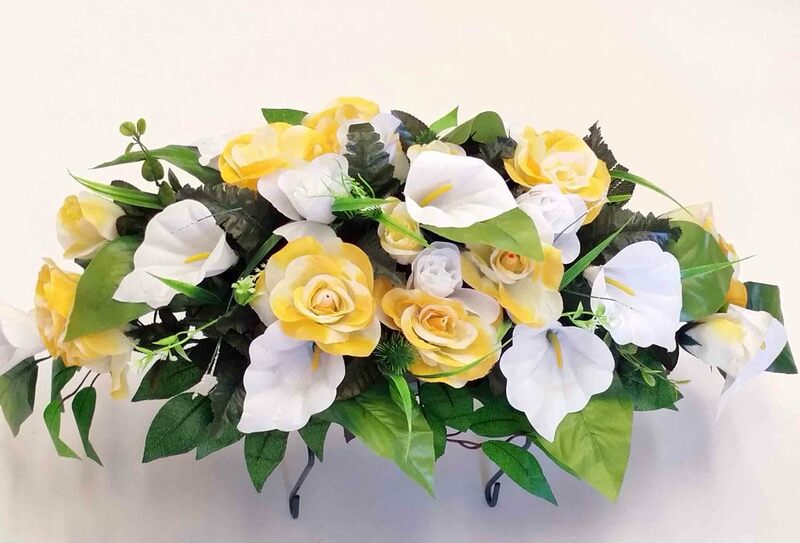 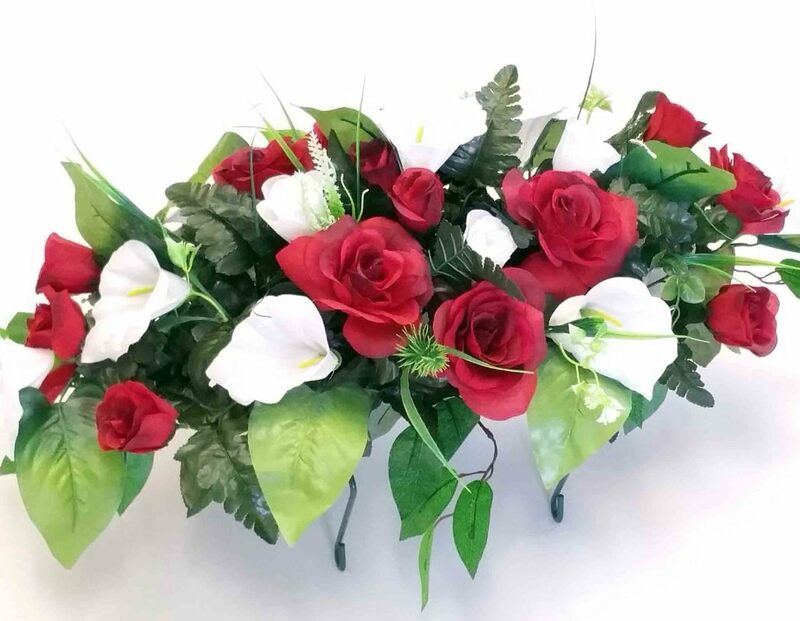 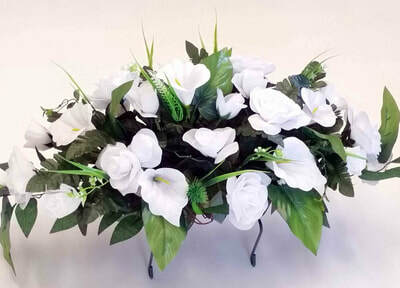 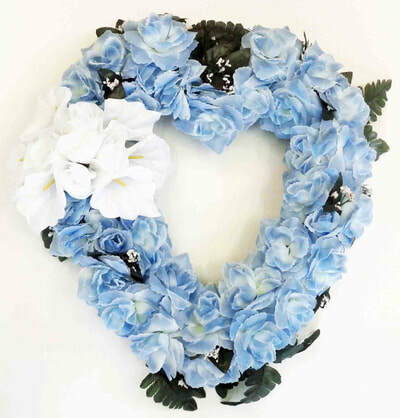 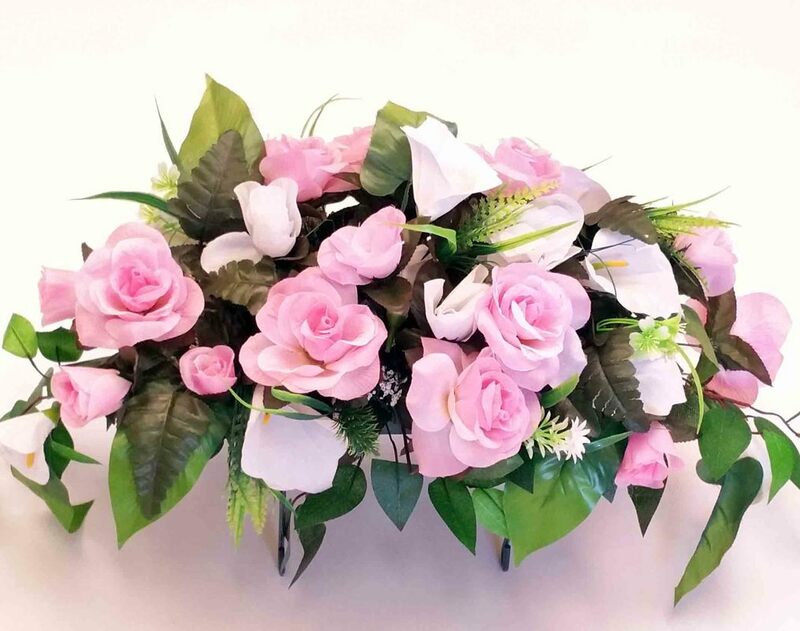 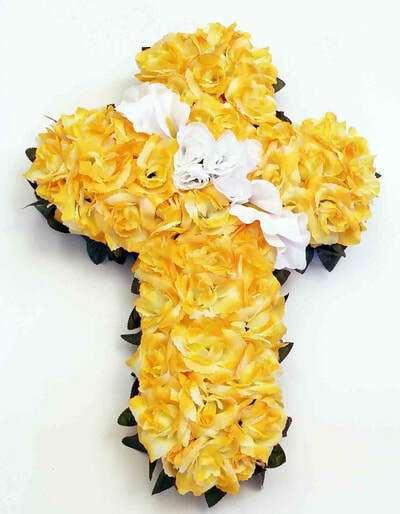 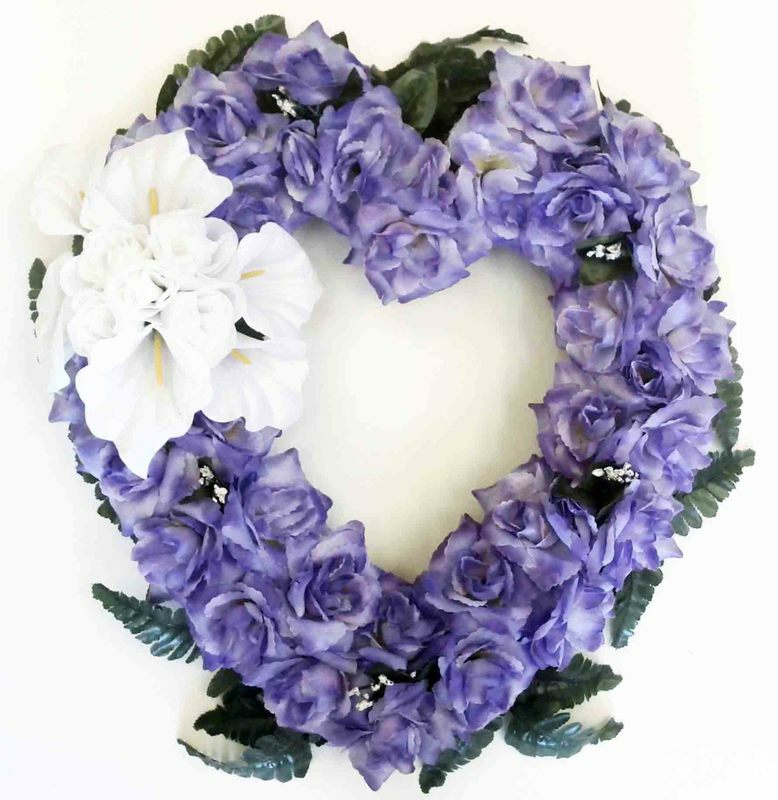 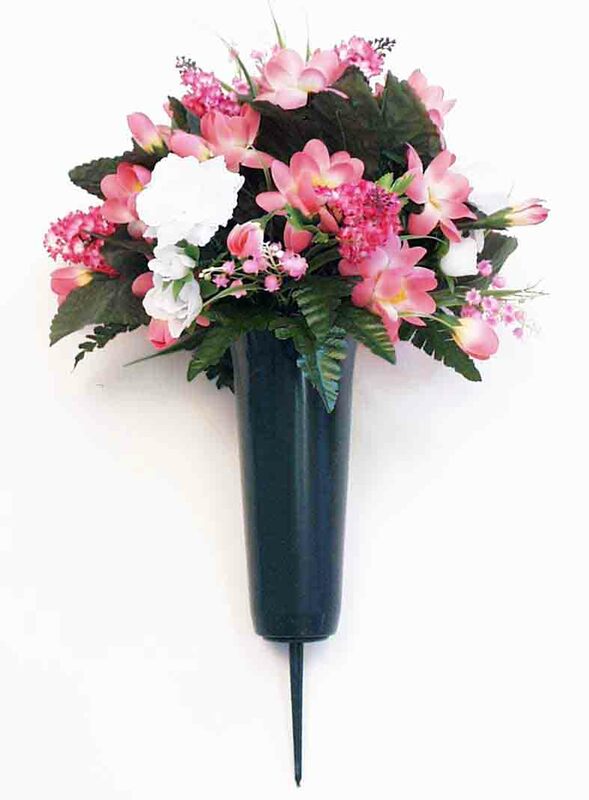 Memorial Flowers are designed in fabric flowers only and are not real touch brand. 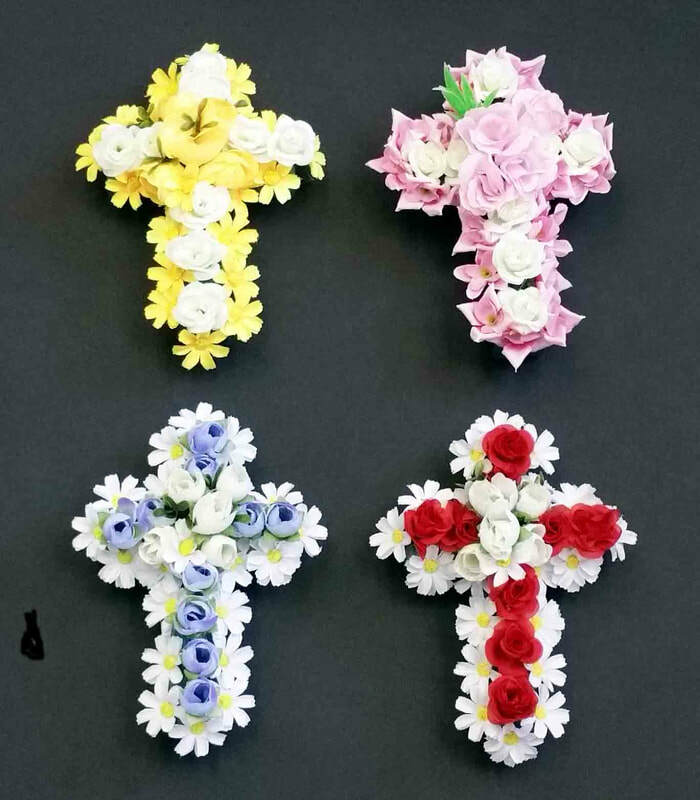 These are just examples. 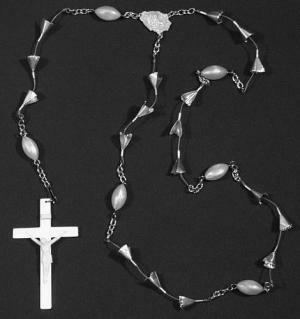 Custom designs and substitute flowers are available. Various colours are also possible. 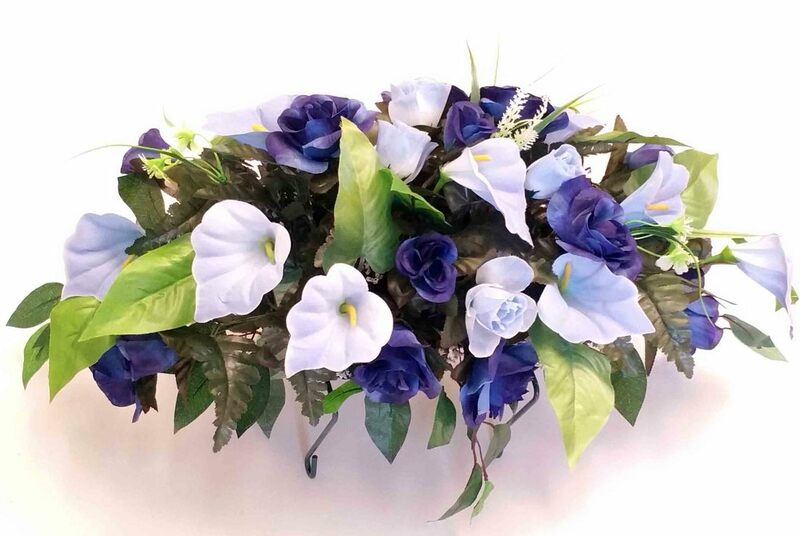 Click on Thumbnail for Info and Pricing.